Transit-oriented development is something you'll be hearing a lot more about, particularly if the City Council passes the expanded TOD ordinance, as it is expected to do. 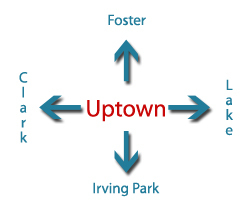 With the Red Line going through Uptown, expect to see big changes in the way properties located within a quarter mile of each L station (Sheridan, Wilson, Lawrence and Argyle) are developed. 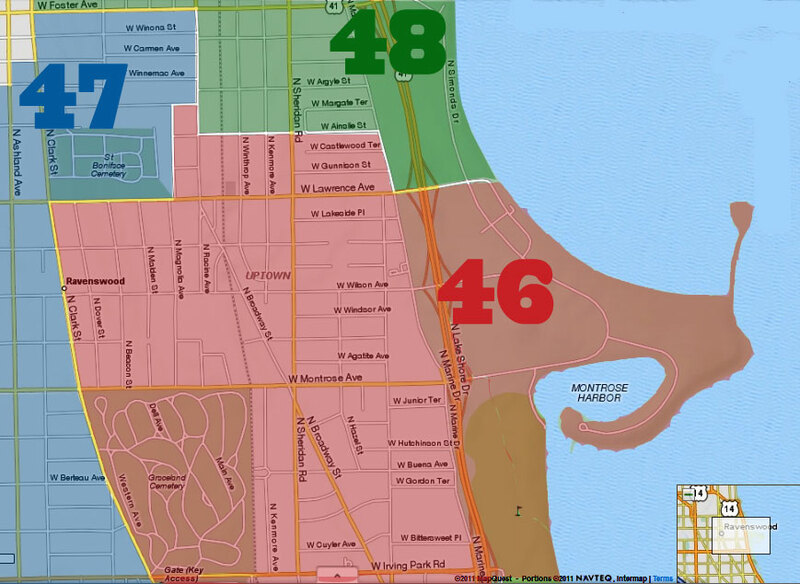 "The 46th Ward has one of the highest number of people who have decided to forgo owning a car, which is one of the major reasons why transit oriented developments (TOD's) are becoming so popular in this area. All indications show that we can expect this trend of people going "carless" to rise, and with that has been an increased interest in transit oriented developments. A third proposal for a TOD is scheduled to be built next door to the Sheridan L Stop. East Lake View Neighbors reviewed and approved this proposal last year, but the developer made some small changes based on community feedback that postponed moving forward until now. This development will contribute to our tax base and encourage more businesses to open in the area. The 46th Ward is going through an unprecedented amount of development and TOD's are helping to make this happen. Click here to see the plans." 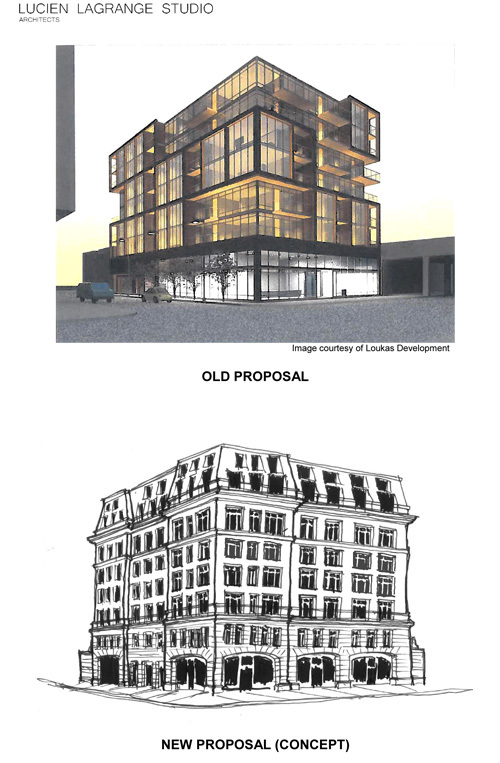 The new design has more of a vintage look than the previous design, On the inside, it adds four parking spaces (from 23 to 27), has fewer apartments (54 rather than 60), a larger footprint (9625sf vs. 9200sf), and a smaller commercial area (from 4252sf to 3053sf). What style, approximately, is this "New Concept (Proposed)" supposed to be? It looks vaguely as if it aspires to Second Empire, perhaps, but is wildly out of touch with the other buildings on that stretch of Sheridan. And dat's fer sure. It's a shame. Proposal 1 looked amazing, but I'm a modernist. I like and can appreciate both designs.